What does a photographer do when he’s not taking photographs? He presents Northern Soul on Frome FM!! 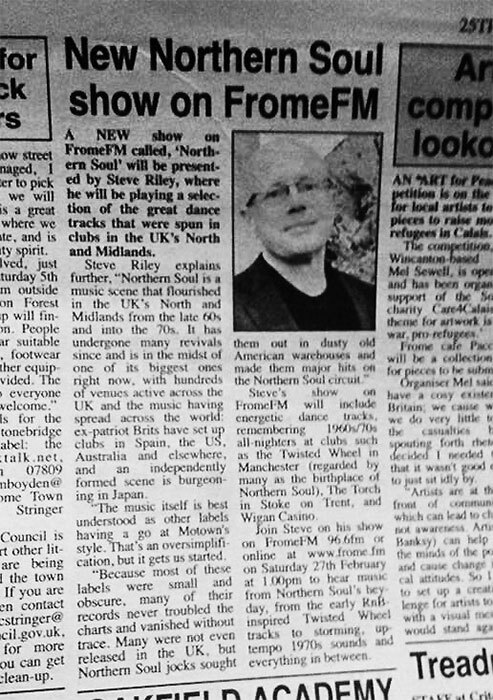 My next Northern Soul show is this Saturday (27th Feb '16) 1.00pm - on Frome FM online. Go to the Home page and hit ‘Listen Now’. Available later as download: The Northern Soul Show. Also, Papa D's Disco Show on Friday (26th Feb) from 10.30pm is a Northern Soul special, with Dave Howard and myself taking turns at spinning our favourite sounds. Both unmissable - we look forward to your company.